Take Out: What may seem an obvious list of things to ‘tick off ‘ to ensure a successful transmedia activity, is by no means child’s play to ensure all the elements hum beautifully simultaneously – and therein lies the craft of a genius. – a story arc will help to effect change by moving a character from one situation to another. There are many ways to develop an arc, for instance an 8-point arc, a 3-arc animation, or a traditional 3-act structure. The point is to have one that starts and ends, unlike stories such as ‘Lost’ that didn’t really have an end point (because the writers were probably paid one episode at a time). – reads as authentic and can stand up to scrutiny of a serious viewer, which means a lot of things including logic across the story (things need to make logical sense). The logic doesn’t have to make sense in the real world of the audience, however if there is new logic that would only exists in the ‘story world’ then it needs a convincing presentation. 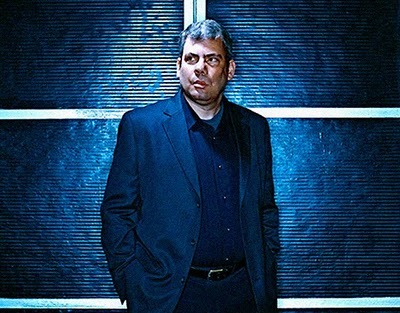 – there are cases of transmedia extensions that do not fit with the audience segmentation, like for example if a character is extended out of the frame, then that character extension would need to communicate with the fan base of that specific character, which isn’t always the same fan base as the entire story – think the fan base of Spock versus the fan base of Star Trek, or the fan base of Lenod Nemoy versus the fan base of Spock, or the fan base of one Pokémon character versus the fan base of them all. – best practise is detail. don’t underestimate the power of evidence (demanding detail), for example some 5 year olds can name all 750 Pokémon. Take Out: The grand narrative should give a sense of what the story universe is all about – it’s not always about the character or actor, but should be about something that is long lasting. Bad forms try to take all the elements and give it to you raw (almost expecting the audience to figure everything out for themselves), where as the good forms will give it to your audience with some connection to the ‘tree-like-base’. It is not always about characters, but it is always about you (audience). If a brand is trying to connect to the grand narrative of a story, then the brand will need to search for its soul and make it recognisable to the audience. The grand narrative is very ‘Joseph Campbell’. Take Out: A characters aspirational drivers are themes – usually 1 to 2 primary drivers, and 1 to 2 secondary drivers – that connect with the heart of a character (and these drivers must exist in public culture). Take Out: A distant mountain is a reference to a thing that you don’t know too much about in the context of the known surrounds. It creates mystery about what is beyond, and it makes the known world feel more real to the audience. You know it’s a crappy story when you can see fake-ness in the surrounds. Examples of distant mountains include things like the ‘ring’ in ‘Lord of the Rings’, or when you first hear Obi-Wan Kenobi make reference to Luke’s father in Star Wars. Take Out: The canon is the essence – the grand blueprint – of the story’s mythology. The challenge is not to have one, rather how to maintain it with all the other stuff going on. You need to combine all the elements of the story canon so that it is transferable and organically woven in to the iteration of a property (no matter how minor). Good examples of a story canon are character playing cards that often contain all the stuff that’s needed to summate the canon, like for example: Log Line, Overview of story world, Hero profile, Supporting cast, Bestiary, Locations, Special items, Magic and super science, Archetypes (messages and themes), Chronology and Distant Mountains. There you go. 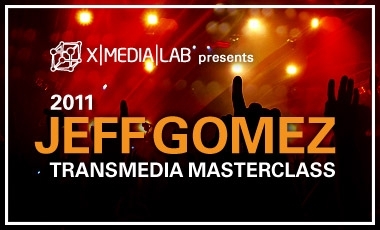 10 amazing attributes that brought me closer to the transmedia guru Jeff Gomez. I look forward to see him when he tours in 2012 (fingers crossed! ).